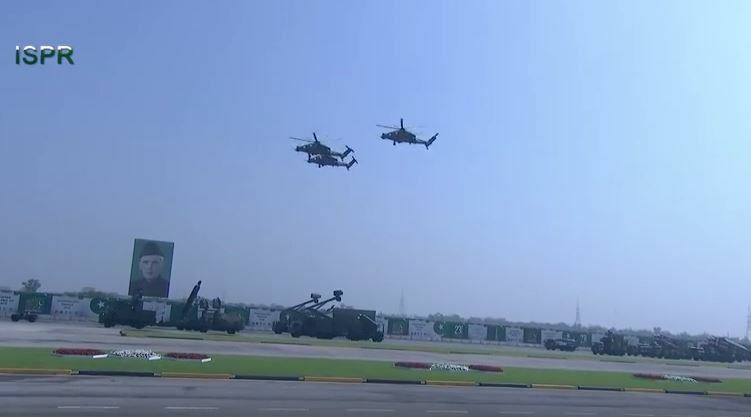 During a military parade in Islamabad on March 23, an occasion for commemorating the Lahore Resolution of 1940, three T129 gunships flew by the pavilions crowded with guests. 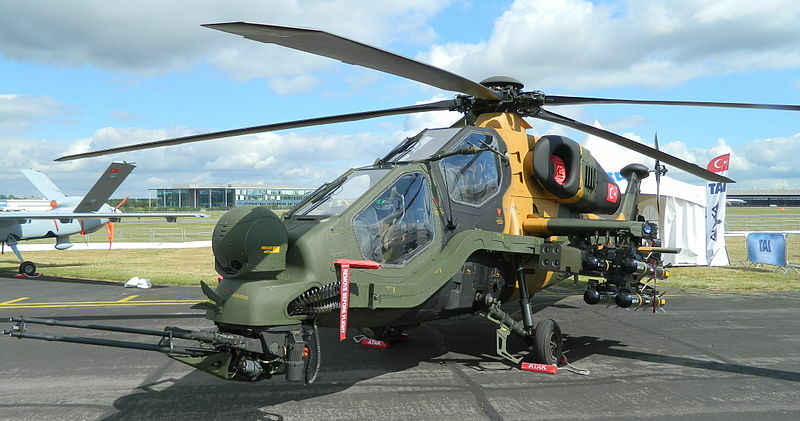 Pakistan’s sprawling armed forces maintain a diverse rotor fleet but the presence of T129’s at a public event are the latest proof that its alliance with Turkey is paying off. The T129 is a variant of the A129 Mangusta, a European attack helicopter whose production license was shared with Turkey, and is analogous to the AH-64A Apache from the 1990s. 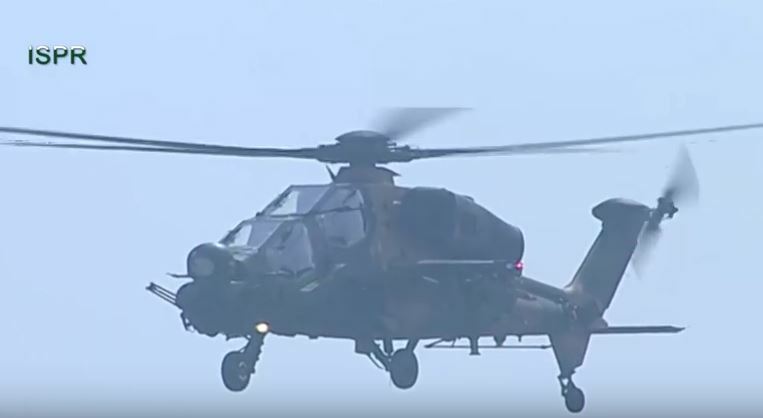 The improved twin engine T129 is already deployed with the Turkish army and performed close air support in Afrin, Syria, this year. The Pakistan military’s experience with helicopter gunships stretches to the Zia ul Haq era. Between 1983 and 1984 the warm relations between Islamabad and Washington, DC smoothed the transfer of AH-1 Cobras for the Pakistan army’s rotor fleet. As ties blossomed again in the 2000s, another 24 Cobras were delivered to Pakistan. Since 2015, however, a possible sale of 15 new AH-1Z Viper gunships (that was raised to 24 Vipers) has been in the works. But as Islamabad’s ties with the Trump administration soured over claims the former supported various terrorist groups the Vipers ended up in limbo. It’s difficult to verify if these are ever going to reach their appointed end users soon. Perhaps Turkish attack helicopters were a better choice than importing another premium weapon system from China–again. Footage of the T129 taken during the March 23 parade. Via Inter Services Public Relations. During the recent March 23 parade an elaborate display of the army’s conventional arsenal was wrapped up by its rotor fleet. This involved AS350 scout helicopters armed with rocket pods followed by trios of the T129’s and AH-1’s. Like the Cobra, the T129 excels in a supporting role for troops needing an alternative to artillery barrages. Its basic armament includes a 20mm three barrel rotary cannon and four hardpoints to carry either missiles or rockets. When it comes to performance characteristics, the T129’s contractors–production is shared between Aselsan, Leonardo, and Turkish Aerospace Industries (TAI)–prefer emphasizing its day/night operability and the superb avionics in its stepped cockpit. The Pakistan army’s choice of the T129 is far from an impulse buy. Records go as far back as 2007 when discussions involving TAI and AgustaWestland (now Leonardo) began and after almost a decade of languishing a deal was struck in 2017. Since Pakistan’s security forces have to grapple with local insurgencies in its northern tribal areas and separatists in the southwest, a large fleet of attack helicopters are ideal for hunting down militants and neutralizing their often remote strongholds. There’s also the nebulous possibility of fighting a conventional war with India and the role gunships have in attacking armored columns crossing over from Punjab and Rajasthan. The T129 can be armed with air-to-surface missiles similar to the AGM-114 Hellfire for blowing up tanks and reinforced structures. But since this scenario is far from certain, and the Indian army’s air defenses would decimate Pakistan’s helos in conventional battles anyway, the T129’s seem destined for use within local airspace. It’s unclear how many T129’s are going to be built for Pakistan’s army. If these are meant to replace its AH-1 Cobras in the coming years, then they might total more than 50, with dozens more added when India adopts its own indigenous attack helicopter at some point. The cost of the T129 acquisition along with finer details such as maintenance and repair arrangements in PAC Kamra aren’t public knowledge yet.